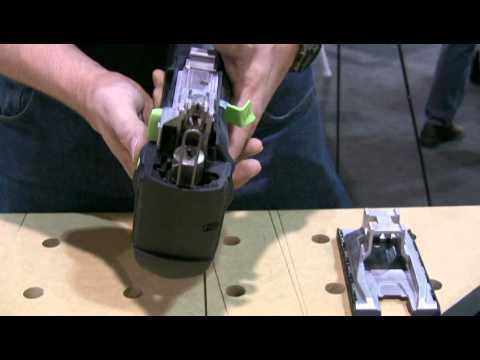 The Festool Carvex is probably one of the coolest tools Festool has announced since their Kapex miter saw, and Tools of the Trade has a video that goes into detail about the new jigsaw, how it functions, and the available accessory options. The video is from the JLC Live event, and TOTT has more videos from the same event that you would be a fool not to check out, including videos from Bosch, and Blaklader. Festool's new Carvex jig saw as seen at JLC Live in Providence, RI.